Yes, it’s that time of year again. The time when the crash-crazy folks over at Euro NCAP reveal their annual list of “Best in Class” vehicles. Keen to learn which models tested in 2015 topped their respective segments? Well, then read on – but bear in mind that Euro NCAP does not profess to assess every variant of every new car to hit the market. Instead, it aims to provide a broad range of useful information to consumers. In fact, this year it focussed on 40 vehicles. As before, each vehicle’s overall score comprises ratings in four specific areas: adult protection, child protection, pedestrian protection, and safety assist. 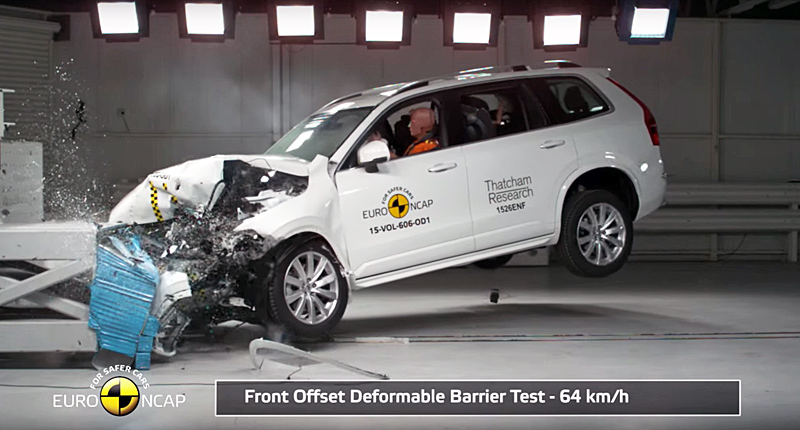 But, in 2015, Euro NCAP included a new full-width frontal test, which it says has had a “significant influence” on the fitment of rear seatbelt pre-tensioners and load-limiters across all sectors. Similarly, the safety authority reports that autonomous braking technology “continues to become more widespread”. 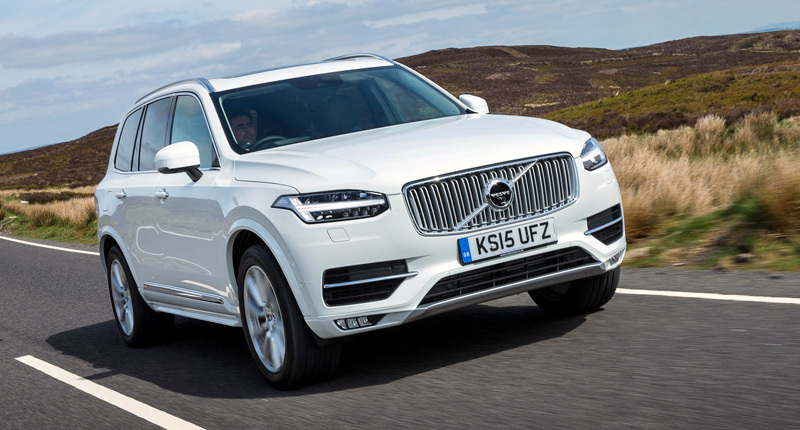 The latest Volvo XC90 has been raking in the awards ever since its arrival on the SUV scene. 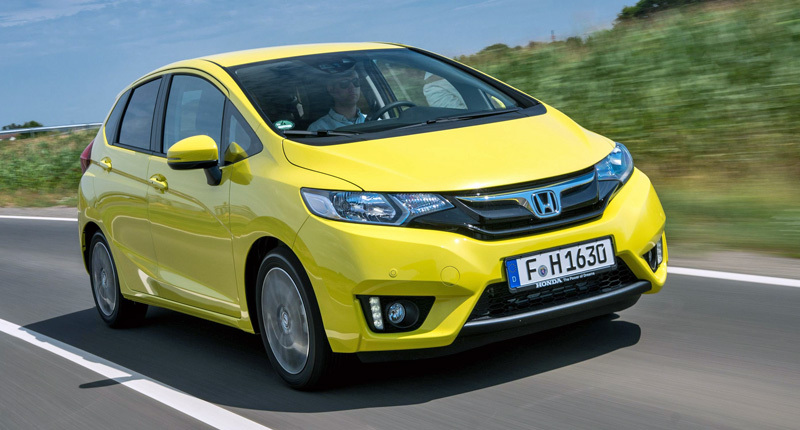 And the latest is the title of the safest vehicle tested by Euro NCAP in 2015 – regardless of segment. Yes, with a 97 percent adult occupant protection score and a scarcely believable 100 percent tally for its safety assist technologies, this innovative Swedish seven-seater stole the safety show. We’d expect nothing less from Volvo. Competitors tested: Lexus RX and Audi Q7. 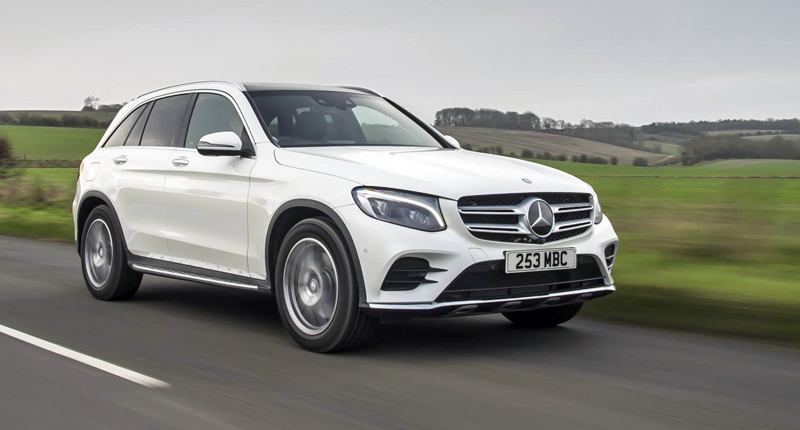 The Mercedes-Benz GLC – which the Stuttgart-based automaker created to replace the GLK – fared particularly well in the adult and child occupant protection stakes, allowing it to top its segment. But it slipped somewhat in terms of safety assistance systems, perhaps partly due to the fact that its lane departure warning system is not standard equipment. Still, Euro NCAP reported that its standard-fit autonomous emergency braking system performed “well” in inter-urban tests. Competitors tested: BMW X1, Kia Sportage, Hyundai Tucson, and Renault Kadjar. 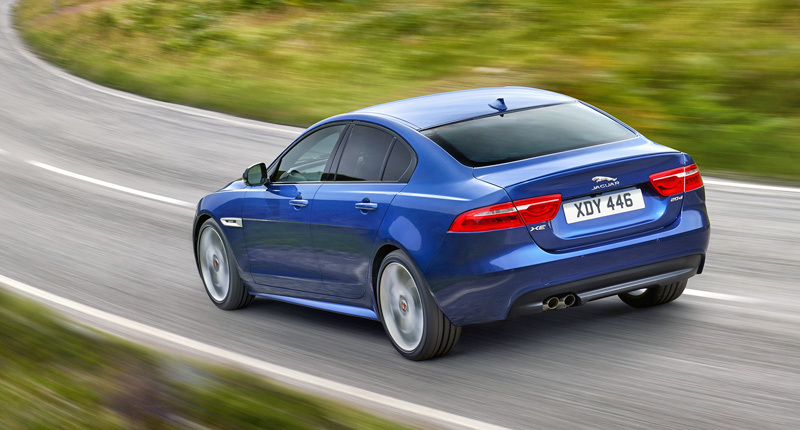 The Jaguar XE – which takes on the likes of the Audi A4, BMW 3 Series, and Mercedes-Benz C-Class – scored fairly consistently across all four categories. Interestingly, the Toyota Avensis returned an identical overall result, but the Jag took top honours since all of its assessed safety equipment (including electronic stability control, seatbelt reminders, driver-set speed limiter, lane departure warning, and autonomous emergency braking) ships standard. Competitors tested: Kia Optima, Renault Talisman, Audi A4, Toyota Avensis, and Skoda Superb. 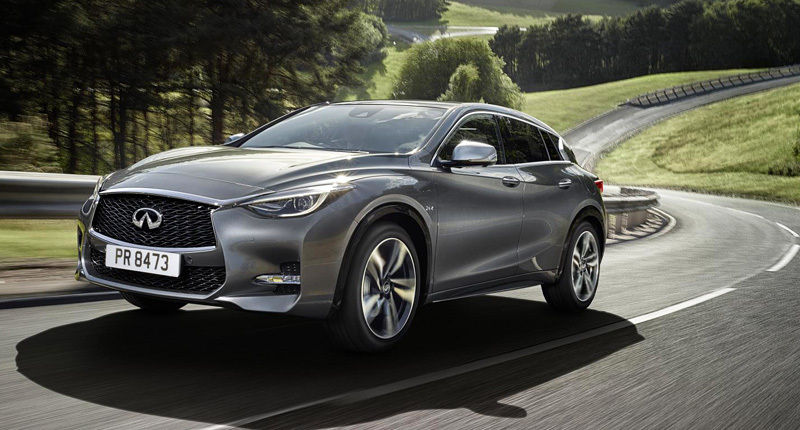 The new Infiniti Q30 – which shares plenty of parts, including its platform and engines, with the Mercedes-Benz A-Class – seemingly has all safety areas well covered. But the Nissan-backed compact hatchback clawed its way to the top of the pile thanks largely to its properly impressive showing in the pedestrian protection department. Indeed, Euro NCAP says its nifty “active bonnet” helped it return one of the best scores of the year in this category. Competitors tested: Opel/Vauxhall Astra, Renault Megane, and Honda HR-V.
As one might expect from an affordable supermini, the new Honda Jazz’s lowest score was in the safety assistance category. But the hatchback returned admirable results in the adult and child occupant sections, which lent it a useful boost. Still, with the same overall score as the Suzuki Vitara, it was the Honda’s “advanced” safety equipment fitment strategy that eventually saw it grab segment honours ahead of the Japanese crossover. Competitors tested: Lancia Ypsilon, MINI Clubman, Opel Karl, Mazda CX-3, Fiat Panda Cross, Hyundai i20, Mazda2, and Suzuki Vitara. 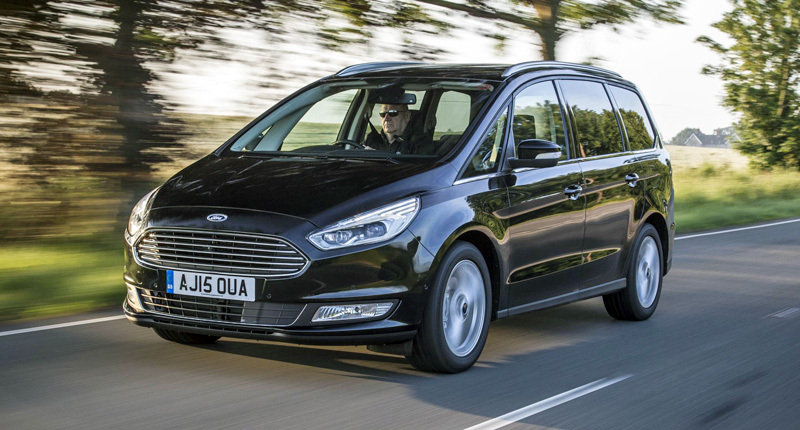 The Ford Galaxy, which is closely related to the Ford S-Max, features a clever optional-fit autonomous emergency braking system that recognises pedestrians as well as other cars. Unfortunately for the chunky MPV, Euro NCAP says it will only start assessing such functions during the 2016 testing period, which means it gets no credit here. Still, the vehicle’s overall performance was just about strong enough to relegate the new Renault Espace (the only other large MPV tested) to second place. Competitors tested: Renault Espace. 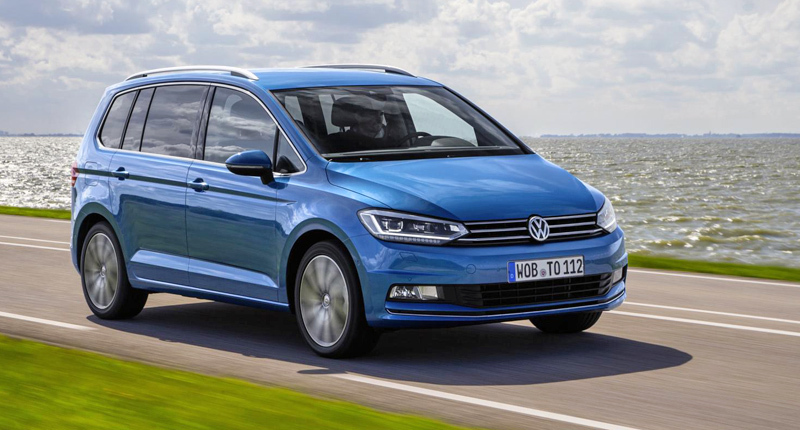 Since it’s a family-focused vehicle, Volkswagen will no doubt be chuffed that the Touran excelled in the child occupant protection category (and did almost as well in the adult protection section). But the compact MPV’s overall tally was dragged down by the pedestrian category (despite the fitment of an active bonnet), with Euro NCAP reporting that protection provided to the pelvic region of foot-travellers was “almost completely poor”. Ouch. Competitors tested: Volkswagen Caddy and Fiat 500X. 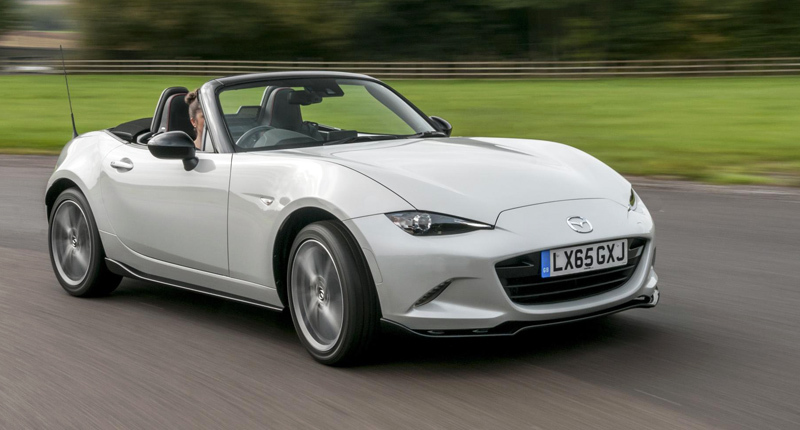 The Mazda MX-5 is the only vehicle on this list that failed to register a full five-star rating, instead being forced to settle for four. Still, the little roadster performed admirably in the pedestrian protection tests, which saw it beat the Audi TT to top place. Where it really struggled, however, was in the safety assistance category, thanks mostly to its lack of an autonomous braking system. Competitors tested: BMW Z4 and Audi TT.